With the improvement in the weather my thoughts are turning to losing the excesses of winter and ensuring I have rid myself of the spare tyre before the shorts and vest tops become daily wear. However, I am not one for rule following, calorie counting, group weigh-ins or weekly fees. In terms of exercise, although I love my weekly yoga class as it helps me focus on my mind and body, anything that involves becoming hot and sweaty in close proximity to others is not for me. The Viva Mayr way (see here and here) has done a reasonable job, but I have just discovered something else, something that has been right under my nose for the last five years. It is THE perfect weight loss programme and I’m going to share it with you, for free! This method is so simple you won’t ever need to look for another diet ever again. Let me introduce you to my Diet Doggy who comes with a built in set of values and will guide you every step of the way to a new fitter and healthier you. 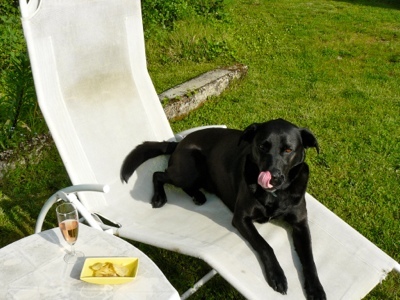 Diet Doggy is programmed to know when it is time for your daily exercise, ensuring you can’t forget. 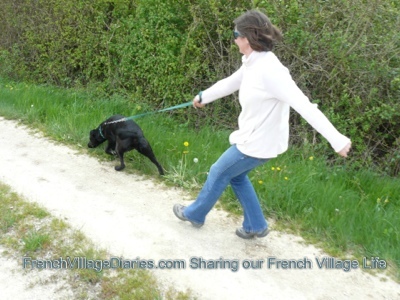 By matching your pace to her enthusiasm you will soon be striding along and toning your legs, bums and tums as you go. Diet Doggy also knows that a walk in the fresh air is good exercise for the mind as well as the body. When you are tempted to sneak a snack and enter the kitchen hunting for that special something, Diet Doggie will appear and give you her practiced pitiful look. This will ensure you feel so guilty you will never be tempted to fridge forage or cupboard crawl ever again. 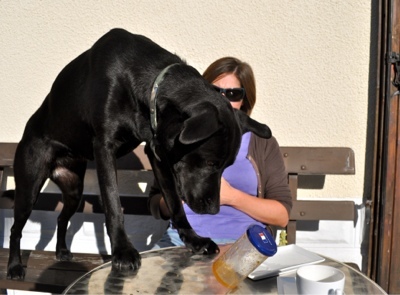 At mealtimes Diet Doggy is trained to carefully monitor every mouthful of your food. Diet Doggy doesn’t beg but positively encourages you to share your meals with her. This is a selfless act to ensure you reduce your portion sizes and therefore consume fewer calories without the need to count them. Perhaps where Diet Doggy comes into her own is at those low points everyone experiences when on a diet. You make a cup of tea; grab a biscuit and head to the sofa. 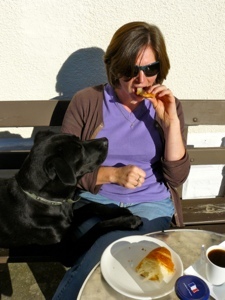 Diet Doggy will be by your side in a flash and will swap your biscuit for her ball. Her eager to help little face will say it all, “Come on, if you’ve got time to sit on the sofa, you’ve got time to play ball in the garden with me”. The best place to pick up your very own Diet Doggy is your local animal rescue shelter. I hope you have as much fun dieting and exercising with your Diet Doggy as Mini and I do. 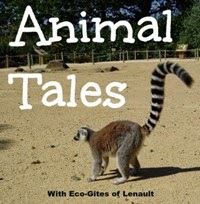 This post has been linked to the Eco-Gites of Lenault Animal Tales blog link up. To read more animal posts just click on the link. You're right. This is a great diet. I'll have to consider getting one, but I'm put off by the job of picking up the doggie remainders. I guess that might help with dieting too. I will admit that isn't my favourite part of being a dog mummy! It's hard to be unfit with animals to look after. I'm actually trying to put weight on so maybe I should give away a few llamas! Shall I send one your way?! YES PLEASE! We did a bike ride at the weekend and came across a field with two llamas and a cow. We had to stop to say hello, they are so gorgeous looking. ps not sure I have been in the position of needing to put weight in since I was poorly week old baby!